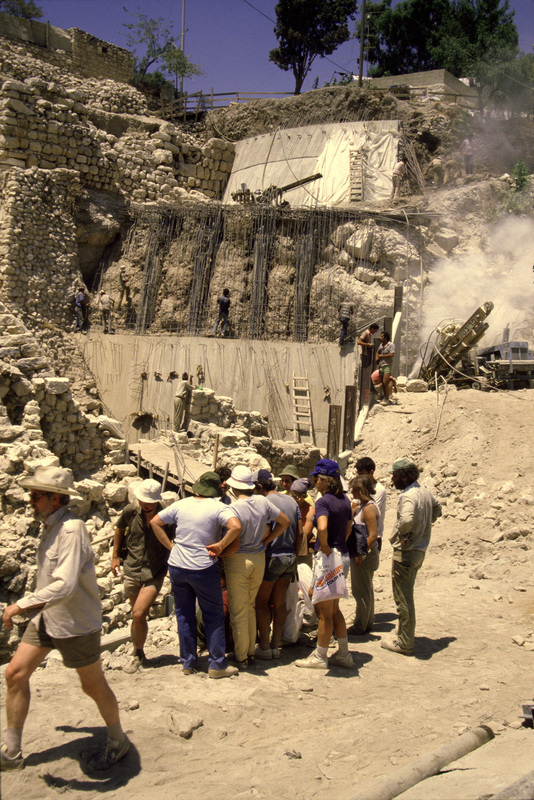 Jebus (Jerusalem) was a small city (12 acres) protected on all sides by massive stone walls. For years the children of Judah and the children of Benjamin co-existed with the inhabitants there because they could not drive them out (Joshua 15: 63 - Judges 1: 21). After David was anointed king, he went to Jerusalem and, finally, took it from the Jebusites. II Samuel 5: 7 says, "Nevertheless David took the strong hold of Zion: the same is the City of David." 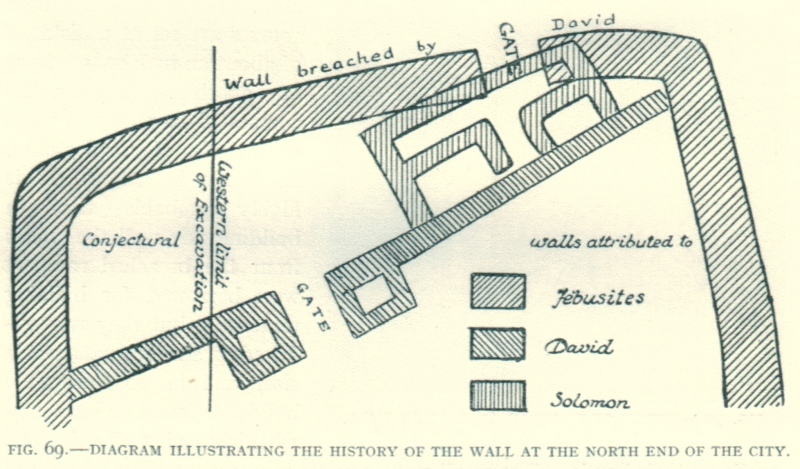 II Samuel 5:9 says "So David dwelt in the fort, and called it the city of David." ​ David's living arrangements changed when the king of Tyre built him a new house: "And Hiram king of Tyre sent messengers to David, and cedar trees, and carpenters, and masons: and they built David an house" (II Samuel 5:11). 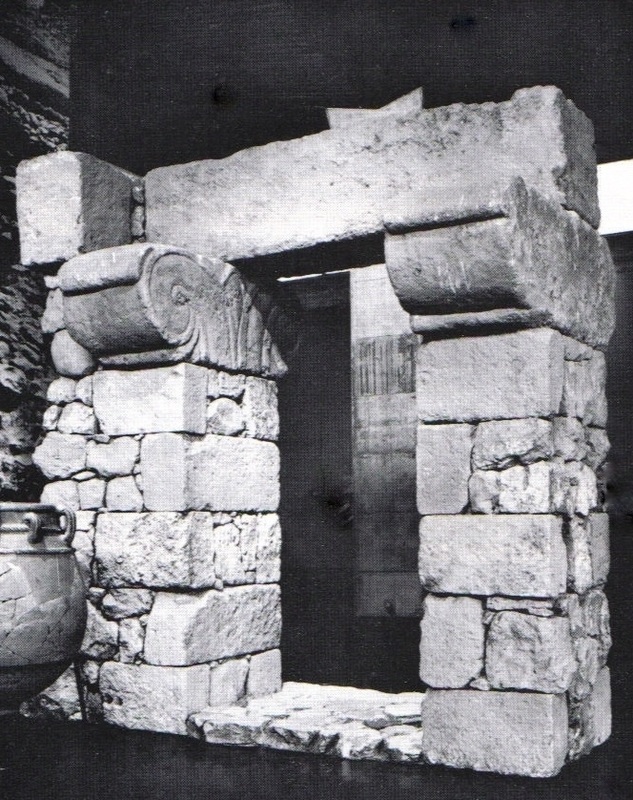 The "house" would have been built of Phoenician ashlars and capitals somewhere outside of the old (by now crowded) Jebusite fort. Kathleen Kenyon's Site M is a prime candidate for the location of David's house. 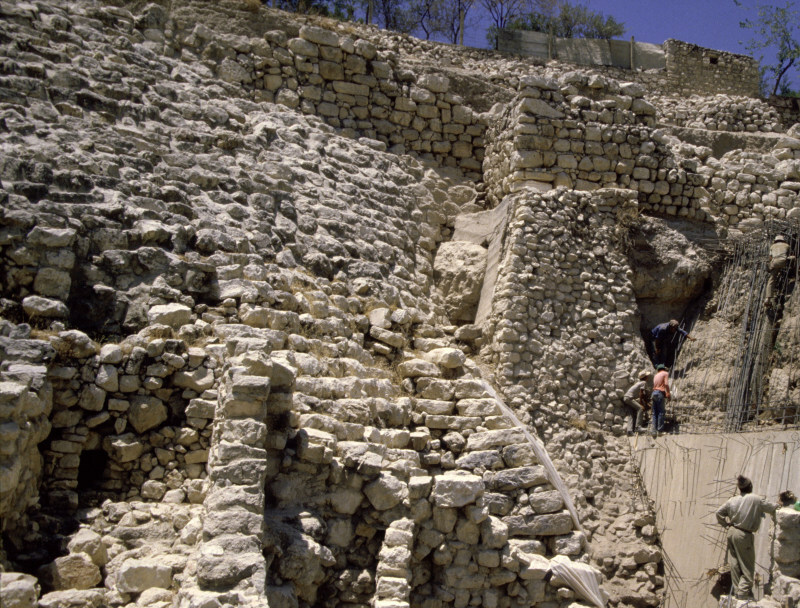 ​ Eilat Mazar has excavated the Large-Stone Structure above the Stepped-Stone Structure and it should be interpreted as the Jebusite fort that David first dwelt in (II Samuel 5:9). David's palace probably would have been built nearby. This capital was found by Kathleen Kenyon among a tumble of large ashlars in her site XVIII, which is just north and east of the Stepped-Stone Structure. It had fallen from an important building on top of the ridge and, according to Kenyon, dates to the time of David and Solomon. ​Eilat Mazar excavated the Large Stone Structure on top of the ridge but dated its construction to Iron I (before David's time). Avraham Faust also argues that the archaeological evidence indicates a construction date before David’s time. There were no signs of these ashlars or capitals in the Large Stone Structure. This is the last photograph of the tumble of large ashlars found by Dr. Shiloh in Area G. Taken in 1984, the photo clearly shows the Phoenician ashlars behind the re-bar in the center-right. Kathleen Kenyon found more ashlars near this spot (her square XVIII), and among those ashlars was found the Proto-Aeolic capital. 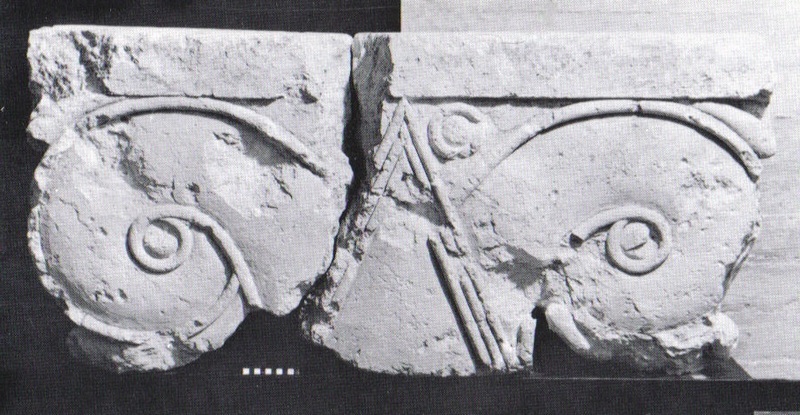 The capital fragments and ashlars may have belonged to David's house. The four-chambered gate at Ophel now shows evidence of a casemate wall being connected to its southeastern chamber (notice front chamber in black on the left). This wall ran southward, up the ridge, connecting to the northern wall of the Jebusite fortress (Kenyon's Site H). This reconstructed gate from Hazor was used to enter an important building in Solomon's time. Notice the Proto Aeolic capitals and ashlars like those found in Jerusalem, Megiddo and Gezer. These cities also incorporated casemate walls in their construction. Solomon also used Phoenician masons like his father, David.